Anne McTaggart MSP has backed Amina MWRC’s I Speak for Myself campaign that aims to tackle negative perceptions of Muslim women in Scotland. The campaign began when a group of Muslim women ran a session in a Glasgow school, and words wrote down by pupils to describe their perception of Muslim women included “terrorist, oppressed and uneducated”. The Muslim Women’s Resource Centre decided to take action, by providing a platform for Muslim women to express themselves to the Scottish public through a roadshow. Travelling across Scotland, MWRC photographed over 100 Muslim women, each holding their own personal messages. MWRC then created an exhibition to give a voice to these women, and challenge misconceptions that are held about them. The campaign was launched earlier this month in the Scottish Parliament, and aims to reduce inequality and sexual discrimination not only within the Muslim community but also in the wider society. 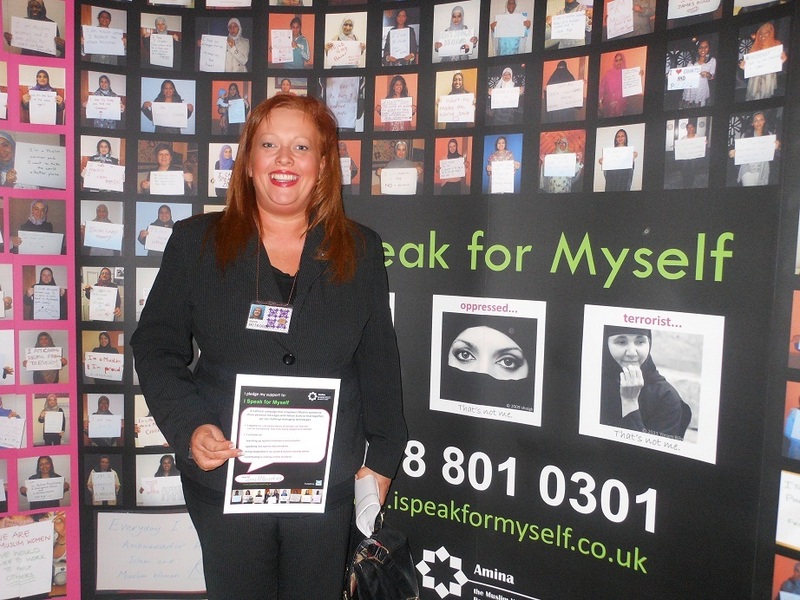 “I am delighted to show my support for Amina MWRC’s I Speak for Myself campaign. I am proud to live in a multicultural Scotland, and it is clear that more must be done to tackle the negative stereotypes of Muslim women that exist in our society today. For more information on Amina MWRC’s campaign, clickhere.